To promote their upcoming Nabuma Rubberband LP, Swedish pop act Little Dragon stopped by the Late Show with David Letterman. Surrounded by impressive lights, all of which served to transform the Ed Sullivan Theater into a dark nightclub, the band powered through an uptempo, high-energy rendition of their new "Klapp Klapp" single. Letterman, for his part, loved it, offering an even more congratulatory closing statement to the band. "Now there's your closing ceremony," he said. 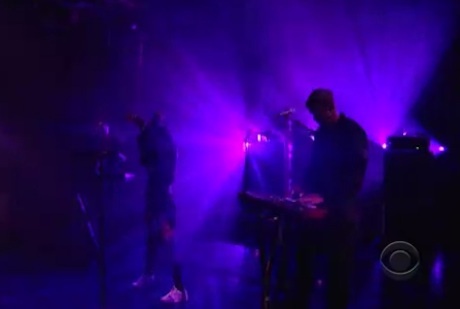 Watch Little Dragon perform "Klapp Klapp" on Letterman below.